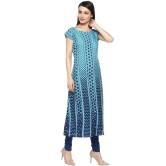 Box The Sartorial Elegance And Push It Down The Road Wearing Kurta By Anuswara. 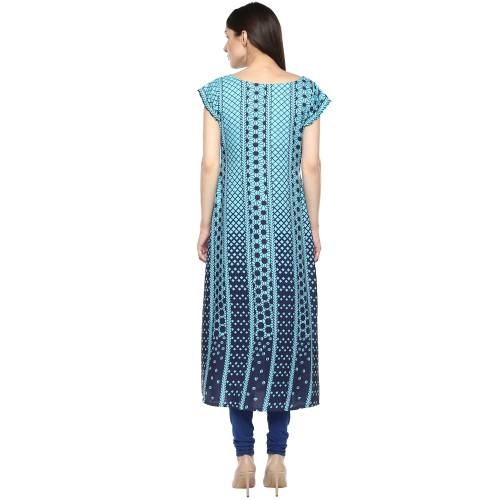 Designed With Absolute Perfection, This Crepe Kurta Is Soft Against The Skin And Will Keep You At Ease. 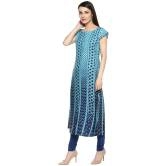 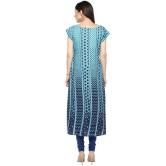 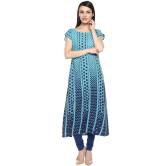 This Flared Kurti Has A Boat Neck And Cap Sleeve.Team It With A Salwar Or Churidar In Lighter Or Brighter Hues To Create A Contrasting Effect.